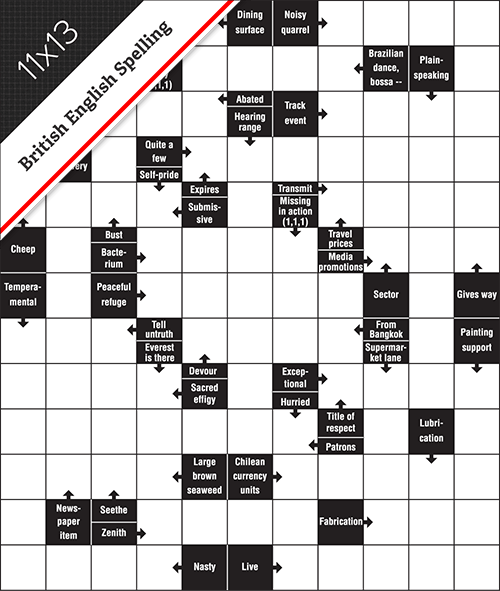 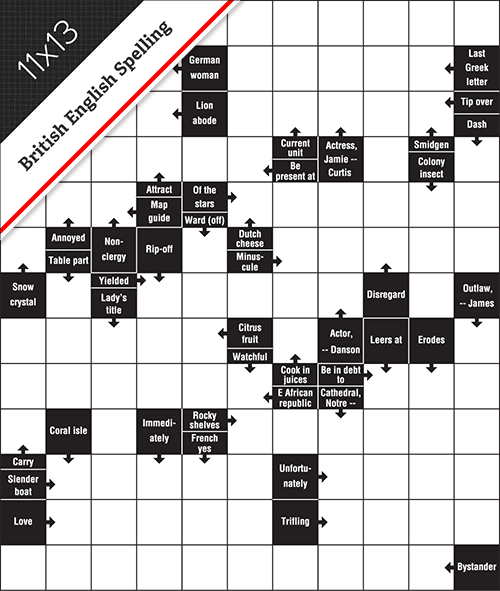 The clues are built into the grid in these clever little crosswords so there’s no clue list to clutter your page layout. 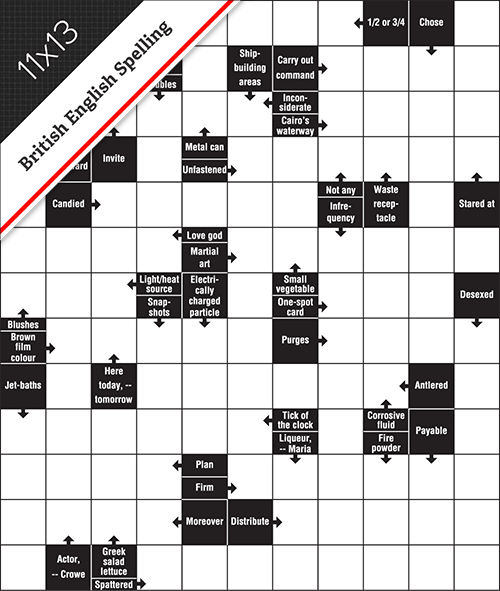 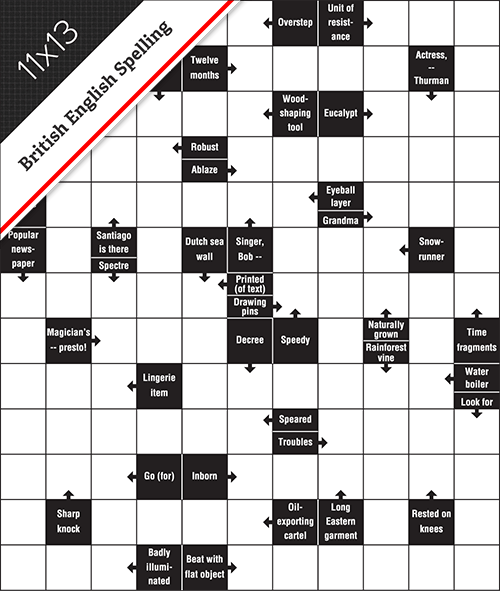 The words and synonym-style clues in the Arrowords crossword use British spelling such as HONOUR, LEVELLED and PAEDIATRICIAN. In Arrowords crosswords, nearly every letter of every word intersects with another. The clues will give a break-up of phrases and hyphenated words – HOLDUP might have the clue ‘Bottleneck (4-2)’ or ‘Rob (bank) (4,2)’. 11x13 portrait-layout crossword with clues in the ‘black squares’.